Looking for a healthy pasta alternative? Gluten-free? This simple dish covers all the bases. Don’t get me wrong. I love the Olive Garden as much as the next person, but it’s no secret that heaping servings of pasta with rich cream sauce is not the healthiest meal choice. However, giving up this Italian classic is not an option either. Where’s the happy medium? 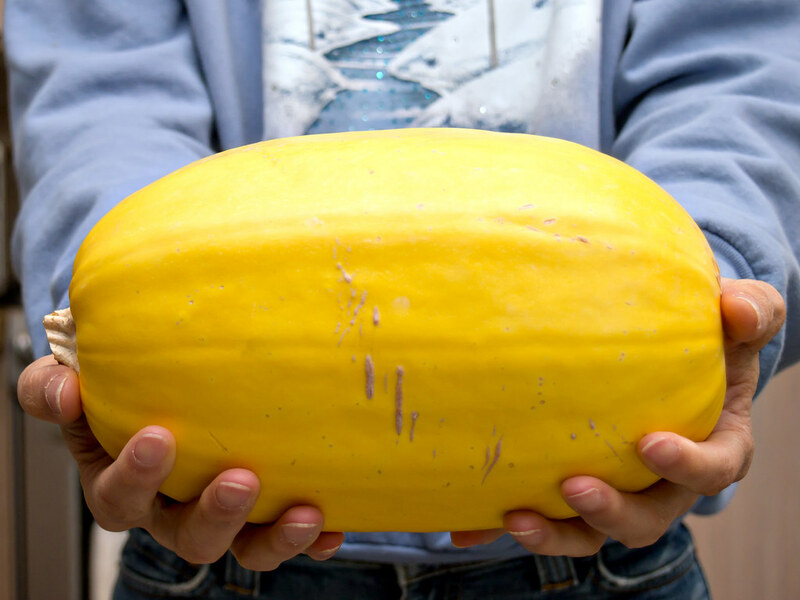 The answer lies in the underrated spaghetti squash. Not only do you feel like you’re eating pasta, you’ve also replaced refined carbs with a vegetable. Winning. Follow the steps below for how to cook this healthy, gluten-free alternative. 1. 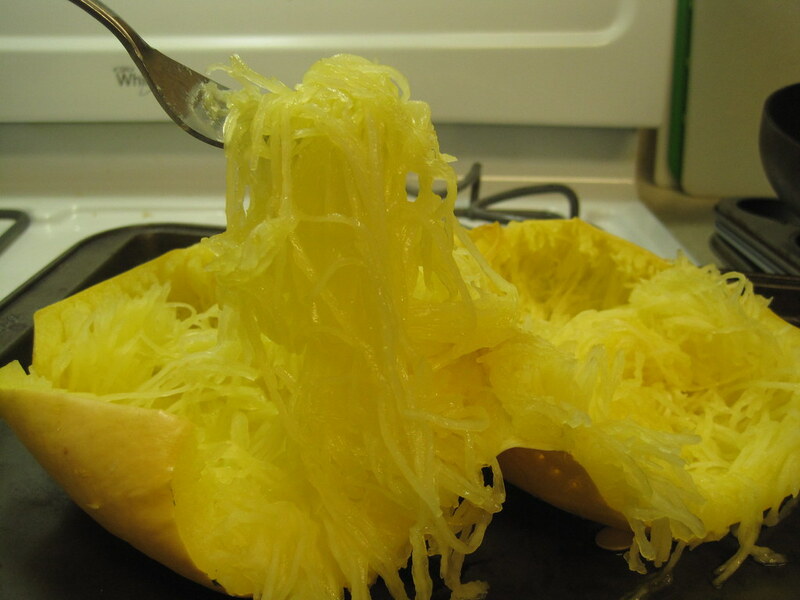 Preheat oven to 400°F and place full spaghetti squash in the oven. Depending on the size, bake for 40 to 75 minutes or until fully cooked. 2. While squash is baking, chop onion, mince garlic and halve grape tomatoes. Sauté in olive oil until tender. Add salt/pepper to taste. 3. Check to see if squash is done baking. A knife should insert to the middle of the squash without effort. 4. Halve the squash and scoop the seeds out from the center. 5. 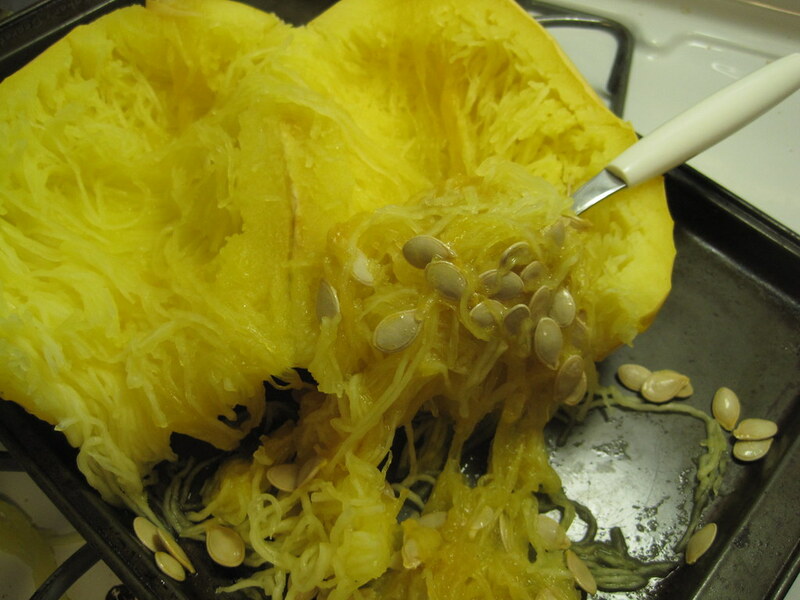 Use a fork to transfer squash to a large bowl and give a spaghetti-like appearance. 6. Add olive oil and salt to taste and add sautéed vegetables. Tip: salt in the squash is critical! A little salt will completely change the flavor. 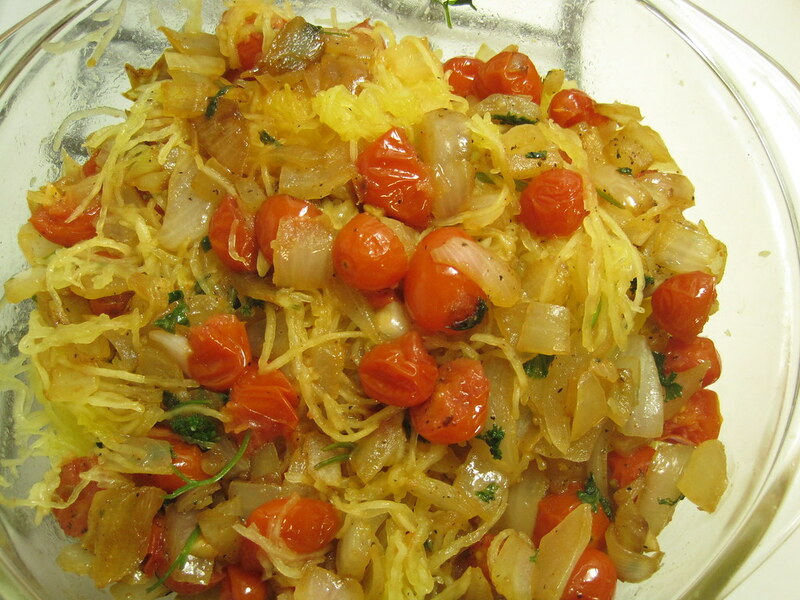 Serve and savor super spaghetti squash.